Picking a college isn’t easy – especially because your decision will ultimately determine where you’ll be, who you’ll spend your time with, and what you’ll be doing for the next four years of your life. Those three factors: location, community, and academics ultimately determined my choice to come to Penn and the M&T program. Growing up in the suburbs of Minnesota, I knew when I applied to schools that I wanted to be somewhere more exciting and vibrant. In essence, I craved adventure and diversity. As a result, I only applied to schools on the East and West coasts. Moreover, I loved the idea of going to school in a city, where something always seems to be happening. I fell in love with Penn’s location for two reasons. First, Penn is on the East Coast, with easy access to New York, Boston, and a variety of other cities. Second, Penn sets itself apart from the other Ivy League schools with its urban location. Philadelphia is also a fantastic city and there are definitely a ton of great places to explore, eat, and hang out off campus. Another factor that led to my decision to choose Penn and M&T was the community. When I visited schools in the spring, I immediately felt at home at Penn. There was diversity and the perfect blend of busy and quiet. Locust Walk was bustling with people walking between classes and meetings while other parts of the school like the Quad had the idyllic, quiet, “reading under a tree” vibe that the Ivy League schools generally give off. Beyond the environment of the school as a whole, the M&T program definitely provides a sense of family. The program is a great support network that you can always go to for advice, help, or just to talk. Moreover, there is definitely a familial ambiance in the M&T office where at any time during the day, you can walk in and see students studying, eating, and hanging out with each other. In addition, here at Penn and in the M&T program the people are generally friendly, down-to-earth and fun to be around. Everybody is unique and there is definitely a niche for everyone. Finally, it is well known that going to Penn will give you a world-class education – but a lot of schools can also give you that. I chose Penn for its unique M&T program and the opportunity for me to pursue a variety of interests. I have always been indecisive. When I go out to eat, I have a hard time deciding what to order because I want to try everything on the menu. So naturally, M&T with its integrated dual-degree program in business and engineering was a perfect fit for me because I could explore a variety of majors and concentrations without having to give anything up. Ultimately, Penn and M&T have just the right blend of characteristics that led me to choose the school and program. It was one of the best decisions I’ve made and I can’t wait for the adventures that lie ahead of me in the next few years of my life! Charles is a current M&T in the Class of 2017 from Excelsior, Minnesota. 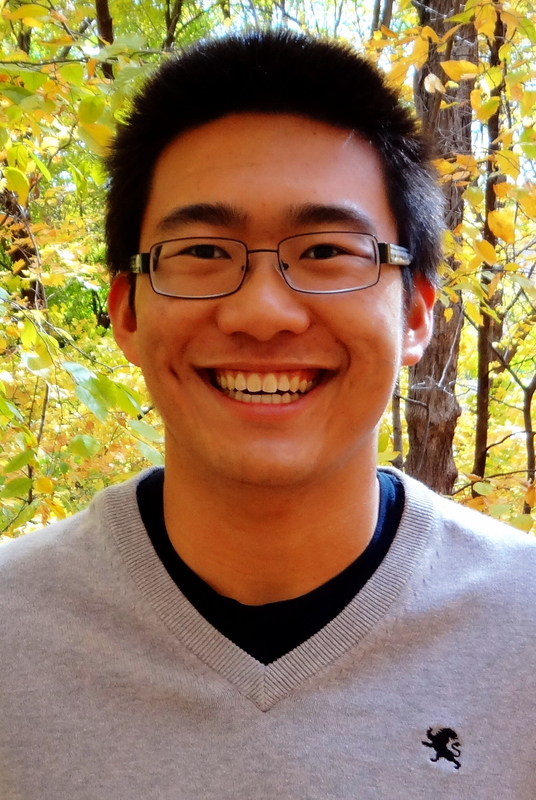 He studies Computer Science within Penn Engineering and has yet to declare his concentration in the Wharton School.